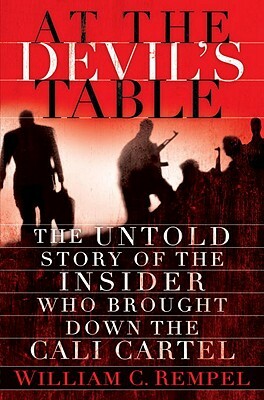 In this riveting and relentless nonfiction thriller, award-winning investigative reporter William C. Rempel tells the harrowing story of former Cali cartel insider Jorge Salcedo, an ordinary man facing an extraordinary dilemma a man forced to risk everything to escape the powerful and treacherous Cali crime syndicate. Colombia in the 1990s is a country in chaos, as a weak government battles guerrilla movements and narco-traffickers, including the notorious Pablo Escobar and his rivals in the Cali cartel. Enter Jorge Salcedo, a part-time soldier, a gifted engineer, a respected businessman and family man and a man who despises Pablo Escobar for patriotic and deeply personal reasons. He is introduced to the godfathers of the Cali cartel, who are at war with Escobar and desperately want their foe dead. With mixed feelings, Jorge agrees to help them. Once inside, Jorge rises to become head of security for Miguel Rodriguez Orejuela, principal godfather of the $7-billion-a-year Cali drug cartel. Jorge tries to turn a blind eye to the violence, corruption, and brutality that surround him, and he struggles privately to preserve his integrity even as he is drawn deeper into the web of cartel operations. Then comes an order from the godfathers that he can t obey but can t refuse. Jorge realizes that his only way out is to bring down the biggest, richest crime syndicate of all time. Thus begins a heart-pumping roller-coaster ride of intensifying peril. Secretly aided by a pair of young American DEA agents, Jorge races time and cartel assassins to extract damaging evidence, help capture the fugitive godfather, and save the life of a witness targeted for murder. Through it all, death lurks a single misstep away. William C. Rempel is the only reporter with access to this story and to Jorge, who remains in hiding somewhere in the United States even the author doesn t know where but has revealed his experience in gripping detail. Salcedo's is the story of one extraordinary ordinary man forced to risk everything to end a nightmare of his own making. William C. Rempel spent thirty-six years as an investigative reporter and editor at the "Los Angeles Times." Rempel has been recognized with numerous journalism honors, including an Overseas Press Club Award, and a Gerald Loeb Award, and he was a finalist for the Goldsmith Prize for Investigative Reporting.